In the summer of 2011, while searching for good descriptions of the Socratic method, I ran across the following quotation from the Autobiography of Benjamin Franklin. At first, I was taken aback. This was not the sort of description I had been looking for. However, after reflecting a bit, I realized that Franklin had hit the nail on the head. The Socratic method is not merely the art of asking hard questions. To be sure, the questions that Socrates asked were as probing as that of any prosecuting attorney, interrogator, or inquisitor. However, what made the great philosopher so effective was the manner in which he asked these questions. 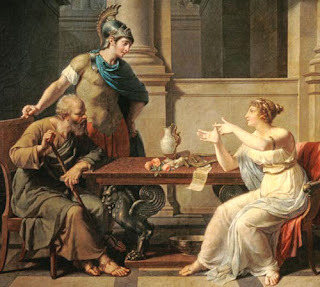 Rather than using brutal logic to force his students into a corner, Socrates used quiet, humble questions to draw out their thoughts.